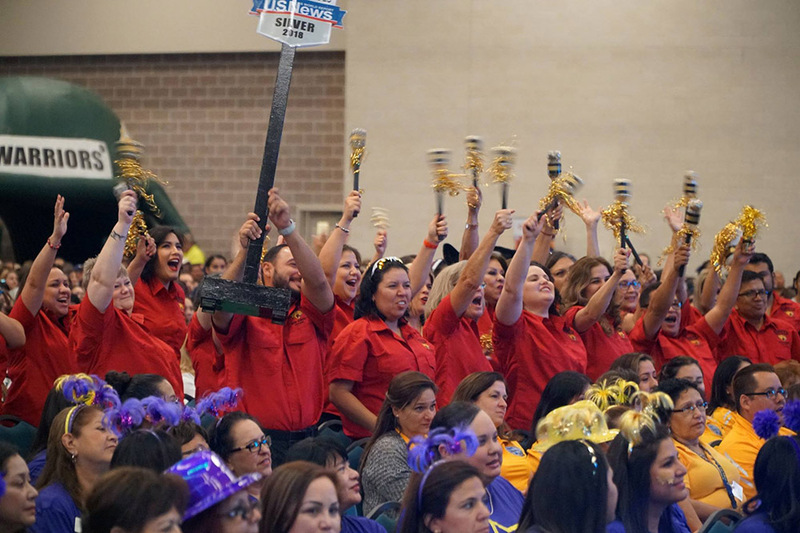 When the Texas Education Agency released its first, long-debated A-F report cards for school districts, no one cheered louder than the teachers and administrators in the McAllen Independent School District, located alongside the Rio Grande in the southernmost part of the state. 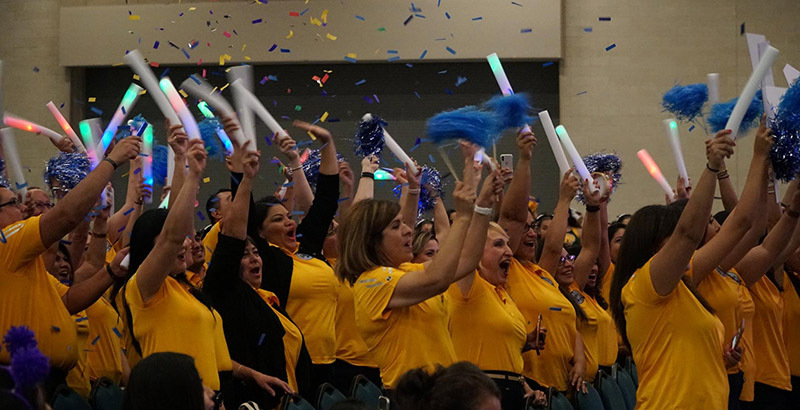 The district earned 92 of 100 points on the new rating system, which translates to an A. In this border town — in the news recently as the scene of aggressive immigration enforcement — almost all district students are Latino, 71 percent are economically disadvantaged, and 35 percent are learning English. According to a state website intended to help parents and others interpret the new ratings, 72 percent of the district’s students in all grades made more than one year’s progress during the 2017-18 academic year. Followed by a staff member posting to Facebook Live, the superintendent spent Monday delivering sheet cakes and speeches at McAllen schools. At Morris, teachers cheered when he busted out a signature move: throwing his arms up at an angle to mimic the gold A+ that takes the place of the A in the district logo. All told, 153 of Texas’s 1,187 districts earned As under the new accountability system, which incorporates student performance, academic growth, and progress toward closing achievement gaps. 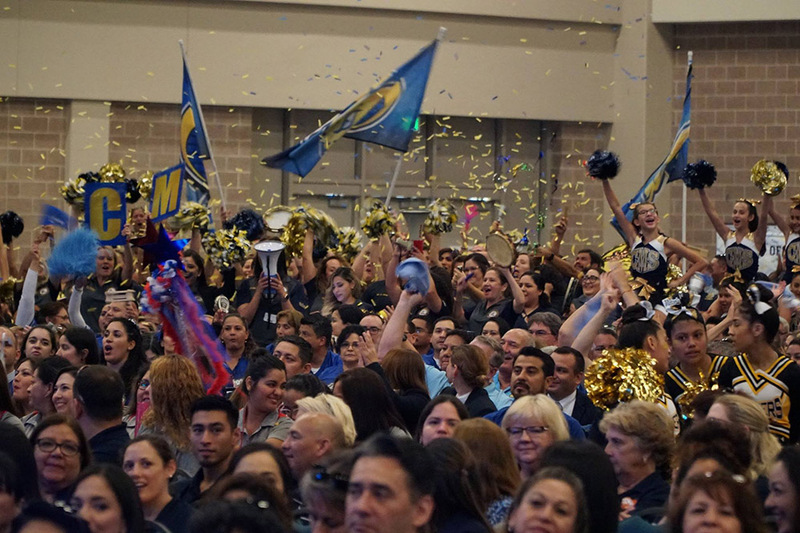 One of three districts with more than 20,000 students to earn the top grade, according to Gonzalez, McAllen got As for closing the achievement gap and growth, and a B for grade-level performance. Among other factors, Community Information Specialist Mark May credits district investments in challenging International Baccalaureate programming and schools featuring both STEAM — science, technology, engineering, arts, and math — curriculum and a focus on emotional intelligence. In total, 356 districts earned Bs, 247 Cs, 57 Ds, and 16 Fs; 92 districts affected by Hurricane Harvey that would have earned B through F grades were not rated this year. An additional 266 single-school districts did not receive letter grades. Seventy percent of a district’s score consists of either academic performance or student growth, whichever a school system scored higher in, with gap closure accounting for the rest. With Texas’s legislature meeting only every other year, the ratings system was several years in the making. Individual schools were not rated, in part to assuage fears about the high-stakes rankings. ‘I Feel Happy to Enter Classes Again’: One Migrant Teen’s Perilous Journey From El Salvador to High School in the U.S.